Information for families of students applying. Thank you for your interest in the International Trilingual School of Warsaw. Our students from many countries are always ready to welcome and support new members of our school community. Please note that the number of places for new students may be limited. Therefore, we recommend that families, as far as possible, start applying for a place in ITSW primary school as soon as possible. If you have questions about recruitment, please contact the agency’s office directly to receive all the information. We want to start learning in our facility is a positive experience and we are fully ready to accompany you. We recruite during the whole year depending on the availability of the spots. The International Trilingual School of Warsaw also recruits during the school year. Due to the low size of classes, we encourage you to apply for admission as soon as possible. Admissions to classes are only possible if places are available. We encourage all parents interested in ITSW to contact and make an appointment. The following information will help parents and students understand the procedures for adopting applications. If you have additional questions, feel free to contact our office. 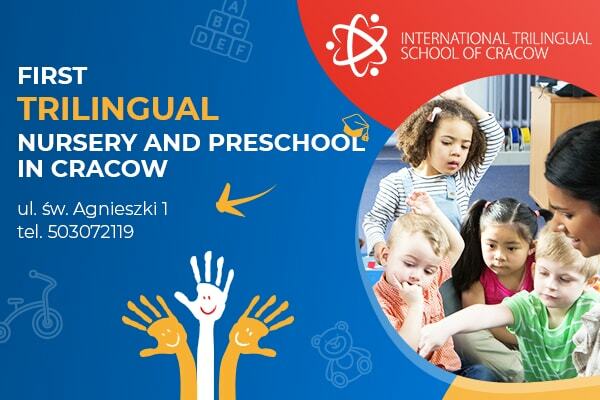 The International Trilingual School of Warsaw accepts students who will be able to take advantage of the opportunities offered by the school and who are ready to engage in our mission and vision. ITSW recruits students respecting the needs of students and families wishing to learn more about the school. We strive to provide all parents and students with clear and relevant information to help them make decisions. ITSW is guided by transparent practices used in collecting, disseminating and maintaining information about potential students. We respect the privacy of our students and their families – we maintain the confidentiality of personal documents at all stages of recruitment. ITSW tries to accept families that support the multicultural and multilingual philosophy of school education, willingly cooperate with the school environment and play an active role in child development. All parents and students are required to provide the necessary documentation or reports on the student’s previous education. The ITSW recruitment process is selective and always aims to provide the best possible learning conditions for the student, including the right grade and level of teaching. The decision to accept any student is made only after the school has obtained all the necessary information, including tests to check knowledge and skills. The final decision about accepting or rejecting any application belongs to the school administration.